Felix Morales, 39, of East Boston, Massachusetts, was charged with Drunk Driving and for hitting Massachusetts State Police State Trooper Captain Francis Hughes on Monday, July 5, 2010. The Suffolk County District Attorney’s Office alleges that State Police Captain Francis Hughes had directed Morales to stop at an intersection in Cambridge when the traffic lights were blinking yellow. Morales, however, did not stop and drove straight at him, struck Trooper Hughes and dragged him on the hood of his car for 30 feet before he was thrown off. Once pulled over, Morales is also alleged to have failed a Field Sobriety Test, posting a Blood Alcohol Content level of 0.15, almost twice the legal limit of 0.08. Morales, it was revealed, had also been twice previously charged with Drunk Driving in Lynn and Revere. 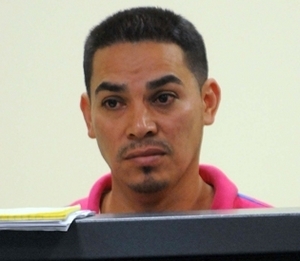 At his arraignment in East Boston District Court, Felix Morales was charged with several Drunk Driving Crimes, including Driving Under the Influence, Leaving the Scene of an Accident, and Assault & Battery with a Dangerous Weapon. This incident was the second in as many days when a Massachusetts State Police Trooper was struck by an alleged drunk driver. In a separate in incident on Sunday, July 4th, Trooper Sean McGarry was clipped by a passing motorist on Route 128 in Peabody as he was in the process of placing a man under arrest. The driver of that car has not been found, but police are searching for a grey or silver sedan that lost its passenger side mirror as a result of striking McGarry. Boston Criminal Lawyer Lefteris K. Travayiakis is an experienced criminal defense lawyer available 24/7 to represent those accused of Drunk Driving Charges, including OUI/DUI, Negligent Operation of a Motor Vehicle, and Leaving the Scene of an Accident. If you or a family member has been arrested and charged with a Drunk Driving Crime and wish to schedule a Free Consultation to speak with a Boston Criminal Lawyer, Contact Us Online or call 617-325-9500.